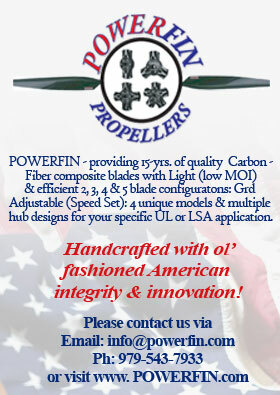 www.Powerchutes.com is a collection of Web pages, blogs, pictures, videos, forums and other misc. on-line resources with Powered Parachute aviation content. You will find links to commercial, FAA, Clubs, associations, and personal sites. Some sell products and services, and some provide services for free. Others just offer information or opinions. This site comes from the labors of a host of aviation enthusiasts. It is basically an out-of-control hobby for most of us. Hence we may not be able to offer you a job, train you to be a pilot, or sell you aircraft maintenance services here. But we should be able to lead you to those resources. Basically, what we hope to do is provide a place where you can find the services to help yourself. This site is made up of many pages, each representing a certain related subject. You will probably find sites that interest you in more than one page. Clicking a page name brings up the respective section of the site with all its links. Many pages are further subdivided into subject areas, which you can see by scrolling down the page. Or, you can jump there directly by clicking on their name on the left side of the page. Therefore, you can expect to move from page to page and explore as you go. What kind of license do I need to fly a Powered Parachutes? How fast does the PPC fly? Do I need to own a plane, before I take lessons? What makes the powered parachute so safe stable? How long can it fly on one tank of gas? What is the maximum weight you can carry? How much room do you need for take-off and landing? Are balistic or emergency parachutes used on PPC’s? Are PPC’s useful in aiding Search Rescue operations? What are the age limits of a PPC pilot? Is a medical required to fly the PPC? Do I have to be a ‘mechanical’ type, to maintain my PPC? Are we required to register the PPC with the FAA? What does a S-LSA Certification mean? What does a FAR-103 define? Powered Parachutes are one of the safest and perhaps one of the most unique forms of flight ever invented. These ultralights and Light Sport Aircraft (LSA's), which were first experimented with in the early 60’s by Notre Dame University, became a commercial sport (Freedom Flyers & ParaPlane) in 1983 and have grown steadily in popularity since. They have become renown for their safe flight records and for the pure joy of flight. 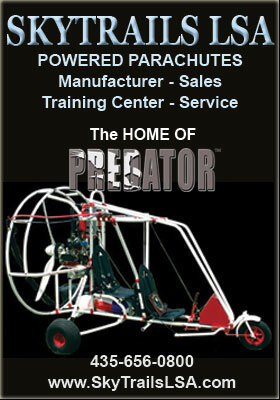 In August of 2000, the World Championships for powered parachutes began. The annual contest is currently held by volunteers in the industy - starting in Greenville, IL, with the last Championship in 2007 in southwest (Hurricane) Utah. The first test pilot to fly a ram-air wing powered parachute. Lowell worked with Dr. Nicolas (sp?) at Notre Dame University. ATV’s (All Terrain Vehicles) have nothing over a RAV (Recreational Aerial Vehicle). Your PPC will use roughly 6 gallons of gas per hour. This gas usage is comparable to ATV’s, but you will have an Eagle’s eye-view of the world without dust – and usually a smoother, cleaner ride in a Powered Parachute! Owner, family or friends can perform repairs and maintenance. And, the aircraft cannot be used for any commercial use. It is conditionally for recreational, sport purposes only. Wow! Perhaps there are more differences here than similarities between the powered parachute and a conventional certified aircraft. The only obvious common facet between the two aircraft maybe that they both fly. The biggest difference is the stable pendulum system of the PPC. The pendulum effect of the PPC causes the this aircraft to be more flexible, and to react relatively more slowly to changes. The average recreational GA pilot flies about 35 hours/year compared to 50 hours for the PPC pilot. The weather is a larger factor, in preventing the PPC pilot from flight. People will flock around a PPC landing, and hardly notice a GA aircraft airport landing. A GA pilot's flight experience is generally a boring event surrounding by the short but enjoyable take-off and landing. A PPC pilot's flight is exhilarating from start to finish. A PPC can easily be trailered to any location for scenic flights. Ask a GA pilot how scenic a flight can be from 2000 ft at 120 knots! Then ask them how many deer they jumped or coyotes they chased. Or when was the last time they had only 90 minutes, and yet decided to go for a flight! Perhaps the bottom line is: If you want to go from Point A to Point B, go GA, but if you want to experience the true sensation of flight, it's the PPC! US Ultralight vs European Pilot requirements No medical is currently required for a U.S. ultralight pilot (and with the onset of the Sport Pilot, only a valid Driver's License will be needed to meet the medical qualification. However, the European pilot must pass blood tests, EKGs, tread mill stress tests, and high vision standards. Training: While the Europeans require 300 hours of ground instruction, the average North American PPC pilot is lucky to have 3 hours. A European pilot applicant must take a radio examination, separate from his flight check. And in Europe, every airport has "landing fees," including touch and go’s. And there is a fee to utilize ATC services. The list of regulations and expenses go on and on. The cost of a private pilot license in Europe is $9,000 - about the cost of a single seat PPC in the U.S. The Gyrocopter handles much better in the wind. And it is very versatile. But it requires constant pilot attention. And a single pilot error is more likely to be fatal. Whereas a PPC will practically fly itself and as long as you are careful where you fly. A ‘pull-over’ (where the wind pulls the PPC off of its wheels and on to its side) is usually the worst pilot error - and from this event - pilots walk away from, usually without even a scratch! This has got to be the most frequently asked question. Unfortunately we just don’t have time to go in to it here. OK, just kidding, I will make time. The simple truth – it gets real quiet! Life seems good again. Stress is removed. You truly begin to soar with the birds. Well, this is what happens when you intentionally shut-off the engine. (And you may find that the Instructor’s and pilots do that a lot here, at the training center.) If you have an engine failure (not a very common occurrence), you will find that the PPC is as stable and maneuverable with or without the engine running. So, you will have an easy time gliding your PPC to the landing zone (LZ); flaring just above the ground and sitting it down safely. Why a powered parachute? Boy is this a broad question – but I will warn you the answer may be very inticing. It is probably the most fun you can have with your clothes on. It is the easiest aircraft we know to fly – only two airborne controls. One controls your rise and decent through the skies (power) and the other to make turns (via steering controls or rudder bars). Besides keeping the unit sturdy, clean & dry, you only need to perform minor maintenance on it; change the spark plugs and the oil. It takes very little room to store it – your PPC can be stored in a single garage. And its size makes it very easy to transport. A common utility trailer can easily carry your PPC to any fly-in. Heck, some people just add an extended shelf to the rear of their pick-up truck and put the PPC there (without any trailer). 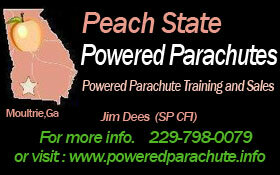 You can complete your basic training in 12 days "flyable" days. You can fly year round. It requires no ground crew. You can easily unpack, take-off, land, and re-load your PPC all by yourself. A true 103 ultralight PPC – requires no medical; there is no age limit, and no bureaucratic paperwork (i.e., no license or registration). Under the new Sport Pilot rule you only need a valid driver’s license to fly passengers. And 12 hours of flight time is all that is need to take your Sport Pilot FAA test. Flying a powered parachute is the closest you may ever come to actualizing those childhood flying dreams. It is the closest you will ever come to soaring with the eagles. Another aircraft may never match the slow & low abilities of the PPC. It is an incredibly safe and fun way to sail-the-skies! They fly between 28 and 40 miles an hour. The airspeed depends on the payload (total weight of the cart under the wing) and the drag of the wing (ram-air wing). Legally 'YES' in a true 103 aircraft. But since there is considerably more to flying a PPC, than pulling an elevator control back, or pushing a foot (steering) rudder bar – I would have to say “NO” for safety’s sake! Take some lessons! It is far cheaper than buying new parts. This is going to have to be a 2-part answer: one part for true 103 PPC’s, and one for the E-LSA & S-LSA (2-seat units). Relative to true 103 PPC’s: No license or registration is needed – YEA! Get Training and a Recommendation from a SP CFI (Sport Pilot Certified Flight Instructor). Pass a practical check ride. You should never fly in winds that exceed your flight skills. And, it is recommended that all PPC pilots should avoid flying in winds above 15 mph. Most quality training centers will have PPC’s that you can use for training. However, some find it helpful (and cheaper) to learn to fly in their own aircraft. What makes the powered parachute so safe & stable? The sound principles of flying a machine in a pendulum configuration are what contribute to the safe and stable facets of the PPC. Due to various flying techniques and locations, we can obviously only deal with averages here, but easy to say that the single seat true 103 PPC can stay airborne around an hour and a half with 5 gallons of gas, and the 2-seat versions, about 2 hours with 10 gallons of fuel. There are quite a few factors that come into play when considering this answer. The engine will determine the ability to climb; and without a safe climb rate - even though the wing's structure can safely carry the weight - flight characteristics may not be sufficient for some weights, without enough Engine (hp and thrust) to carry that weight aloft at an adequate climb rate. On average however, I will venture to say that around 40-550-lbs of payload is usually workable for a 2-seat PPC near sea-level..
No. When you have an aircraft with the safely record of the PPC, it is extraordinary to find one with an emergency parachute. Water safety gear is HIGHLY recommended however, when flying over water (i.e., an inflatable floatation device for the aircraft, and life jackets for the occupants). Are PPC’s useful in aiding Search & Rescue operations? The PPC is so ‘right’, so usefulness when it comes to search & rescue operations, that sometimes, the Civil Air Patrol will get a little jealous about the PPC. Except for getting to the ‘lost’ sight quickly, there is no better aircraft than the PPC for aiding in the search of the lost in fair weather. They were used in the Columbia space shuttle recovery a few years back, to locate debris, etc. Helicopters sometime were counter-productive at times - just making the recovery effort hard with the way the down-wash caused turbulence with the trees. PPC's on-the-other-hand could just skim above the tree tops and see the ground without the distraction of the trees waving their branches and leaves. Ultralights: NO, you can not fly at night without a special waiver from the FAA. LSA: A night equipped powered parachute (positioning lights, etc) can fly from civil twilight to civil twilight with a Sport Pilot serving as "captain" (PIC - Pilot-In-Command). If a Private Pilot is operating a night equipped PPC, then it may be flown at night. For a true 103, there is no age limit; for the 2-seat trainer, the pilot must be at least 16 years old. Is a medical exam/certification required to fly the PPC? As an Ultralight: NO (No medical is required to fly an aircraft that meets the FAA FAR-103 specifications (i.e., under 254-lbs, single-seat and no more than 5-gallon fuel capacity. When the aircraft is "N"-numbered in the LSA category (Light Sport Aircraft) - then ONLY a valid USA State Driver’s license is needed to pilot the PPC. Can I fly in or over a National Park / National Forest / Wild life area? There has always been confusion over this question. Except for hazardous areas like the Grand Canyon , the FAA has no restrictions on the air space over National Parks, etc – it is only strongly requested that you maintain 2000 AGL (Above the Ground Level) when over a National Park. However, the Park Service will probably ticket (and yell) at you for violating Noise & Disturbance laws, if you fly too low! No, if you can maintain the filters (air, oil & fuel); and if you can change the spark-plugs and the gear oil, you will be fine. You will only need an A&P or a certified mechanic to handle the major repairs and engine maintenance. You are not required to register PPC that fits into the Ultralight (true FAR-103) category. But you are required to register any PPC that is outside of that 103-classification and have it “N” numbered. This is cost may be as low as $5 for registration, and it will need to be re-done or updated every 3-years. S-LSA is an acronym for "Special Light Sport Aircraft". PPC Manufacturing companies that have completed the ASTM Standards and the FAA paperwork process are then allowed to build E-LSA (Experimental Light Sport Aircraft) as well as S-LSA versions for each Model that has been S-LSA approved by the FAA/ASTM standards. FAR-103 refers to the Federal Aviation Regulations, Part 103. In this section of the FAR/AIM handbook, the FAA defines the characteristics of this type of vehicle. A FAR-103 also referred to as an Ultralight is a Powered Parachute that weights under 254-pounds, has a fuel system that allows no more than 5-gallons of fuel, was designed as a single-seat unit, and does not fly faster than 63-mph. • How do I get permission to take the written test? • When I take my written Test, will I be familiar with all the questions, or will there be new questions I haven't seen before? • Is it true all you need is a driver's license instead of a medical? • Do I have to renew my Sport Pilot certificate? • Can I fly another type of LSA category once I have my PPC rating? • What's the difference between an ultralight and a Light Sport Aircraft? • What is an E-LSA vs a SLSA? • Who can perform maintenance on my E-LSA? • What other maintenance issues are there with my E-LSA? • Can I keep training in my E-LSA? • If I train in my E-LSA, can I still do the maintenance? • Will airworthiness directives (ADs) be issued for light sport aircraft? • Do I need to obtain an STC (supplemental type certificate) if I want to install a different prop or add a new radio to my SLSA? How do I get permission to take the written test? You will need an endorsement from a CFI saying you are ready to take the written test. When I take my written Test, will I be familiar with all the questions, or will there be new questions I haven't seen before? There will be new questions. The FAA only releases some of the questions. You should know the information well enough to answer all questions, don't just memorize the answers to the questions that you've studied. Is it true all you need is a driver's license instead of a medical? Generally, sport pilots are allowed to use their state driver's license to establish medical fitness. They must also follow any restrictions or limitations listed on their driver's license. If you must use glasses in the car, then you must use them when you fly. In addition, every pilot must determine before each flight that he or she is medically fit to operate their aircraft in a safe manner. As a pilot, it is your responsibility to ensure that your current medical health in no way jeoparidizes the safety of a flight. However, existing pilots who've had their FAA medical certificate denied, revoked or rejected by the FAA are not allowed to operate using their driver's license until they clear the denial from their airman record by having a third class medical certificate issued. Do I have to renew my Sport Pilot certificate? You do not have to renew your Sport Pilot Certificate but a biennial flight review (check flight with a CFI every 2 years) is required to keep your rating current. To be able to fly with a passenger on board you also have to perform three take offs and landings every ninety days as per 61.57. Can I fly another type of LSA category once I have my PPC rating? What 's the difference between an ultrlight and a Light Sport Aircraft? An ultralight is a single seat vehicle that weighs less than 254 lbs, carries no more than 5 gallons of fuel and conforms to the other requirements of Part 103. No license is needed to fly an ultralight. A Light Sport Aircraft can have a take off weight of up to 1320 lbs, has no restrictions on fuel quantity, can take one passenger and requires a pilot certificate to fly. What is an ELSA vs a SLSA? An ELSA is an Experimental Light Sport Aircraft. It can be an airplane, weight shift control, or a powered parachute. E-LSAs are based on an S-LSA but probably built by the owner/operator, not used for instruction nor hire (after Jan 31, 2010), and maintained in an condition for safe flight by the owner/operator. Existing E-LSAs are also grandfathered fat ultralights - (heavier than 254 pounds, OR carries 2 people OR holds more than 5 gallons of gas). The Special Light Sport Aircraft (SLSA) is an aircraft built to ASTM specifications. Built by the manufacturer and test flown before you buy it. SLSAs can be used for instruction and in rental fleets. In many cases, ELSAs and SLSAs are identical aircraft, just with different paperwork. SLSAs probably hold their value longer due to more stringent maintenance requirements. Who can perform maintenance on an ELSA? No rating is required to perform maintenance on (E-LSA). You, as the owner/operator can do your own maintenance. Bubba, Charlie, and your chimpanzee can also do maintenance for you. However, the owner operator is responsible for maintaining the aircraft in an airworthy condition. Also, the pilot-in-command is responsible for making sure the aircraft is in a condition for safe flight (before each flight). What other maintenance issues are there with my ELSA? ••• An appropriately rated repair station. ••• A Light Sport Aircraft repairman with a maintenance rating. Can I keep training in my E-LSA? Yes, if you retain those limits in your operating limitations (which comes with your airworthiness cert. and are set by the FAA). The training operating limitation has an expiration date of January 31, 2010. This is so it won't create a hardship on instructors to have to rush out and buy a new S-LSA right now. ADs will not be issued for LSA. However, mandatory service bulletins (SBs) (also SDs meaning Service Directives) will be issued for light sport aircraft. For SLSA, compliance with these bulletins is required. For ELSA, compliance is only recommended. Do I need to obtain an STC (supplemental type certificate) if I want to install a different prop or add a new radio to my SLSA? No. An STC is not required because SLSA do not have type certificate data sheets (TSDS). Any maintenance that leads to a modification of the original airplane equipment or avionics requires approval by the airplane manufacturer. No restrictions for ELSA. Once you have your sport pilot certificate you can add category and class ratings (endorsements) to your log book. This means if you are a PPC Sport Pilot your category is ‘Powered Parachute’ & the class would be ‘land’. If you wanted to fly a ‘fixed wing’ category in the ‘land’ class you would need a proficiency check (flight training for that aircraft) as per FAR 61.321. This would include aeronautical knowledge of the aircraft and it’s limitations & also meeting flight proficiency requirements (being able to take off, land, navigate etc). You would receive enough training for the CFI to recommend you to take a proficiency check from a qualified checker-outer.